This sofa bed is upholstered in dark brown soft touch faux leather and the legs have a brushed metal finish. 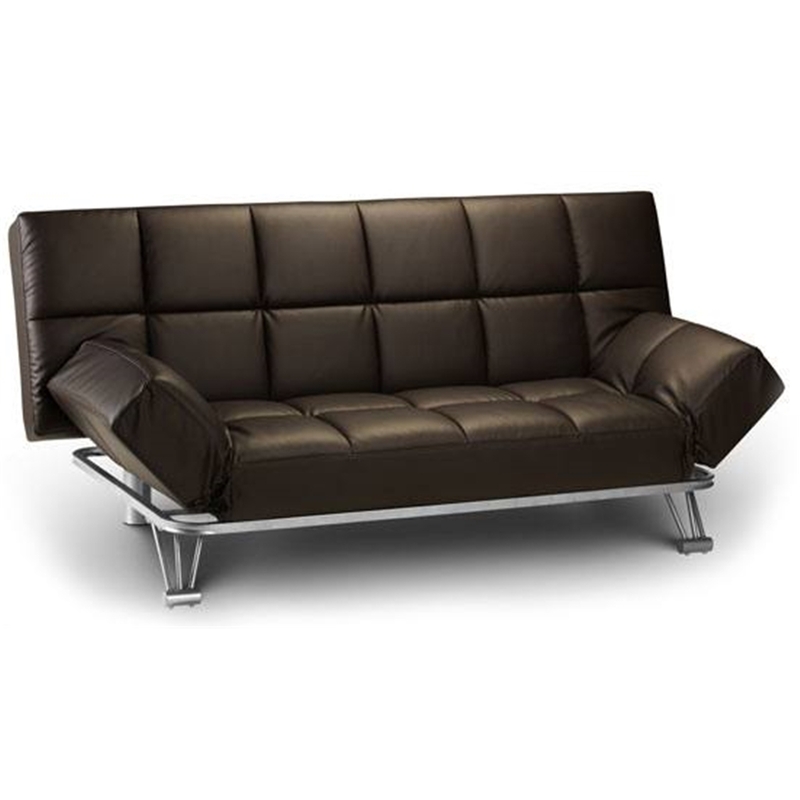 A great feature of this sofa is that it has 3 sitting and sleeping positions as shown on the images. This product is also available in black.